A whole lot of Rocky. 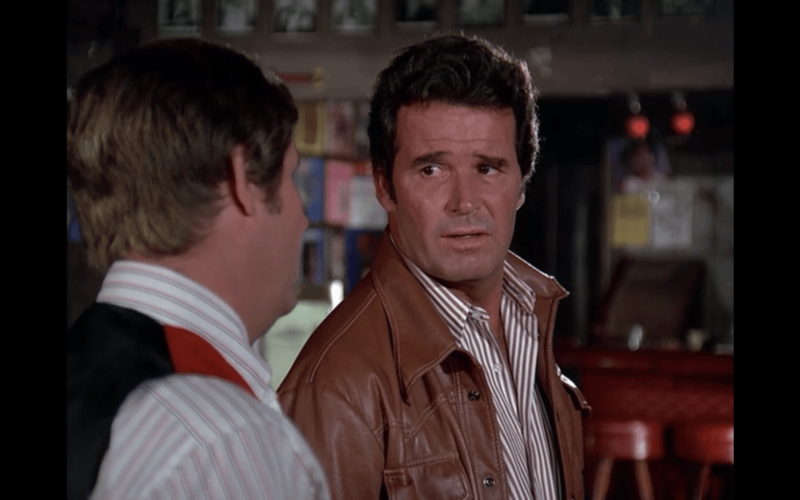 After a triumphal debut season, “The Rockford Files” kicks off its sophomore year with an action-packed thriller. There’s nothing fancy here, no romantic female lead for Jim to work with, no very special guest star, no two-parter. Instead, they double-down on the basics: appearances from Dennis, Beth, and a whole lot of Rocky. Angel Martin does not appear in this episode. “The Aaron Ironwood School of Success” begins with Jim exiting his trailer early one morning intending to pick up Rocky so they can go meet an old family friend at the airport. But before Jim can take three steps towards the Pontiac Firebird he gets forced into the back of a waiting limousine. These hoods look like they mean serious business, but Rockford quickly outwits them, and less than 200 seconds into the new season we have our first car chase. 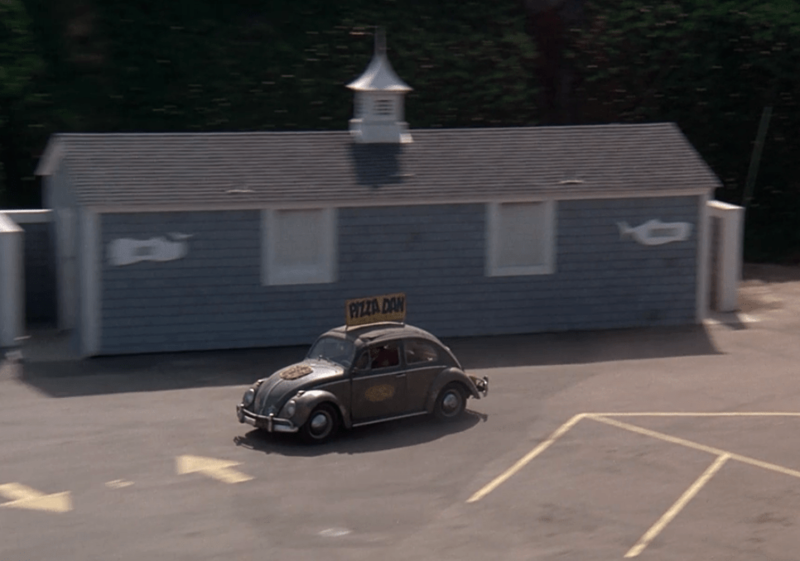 Jim must have wanted to inaugurate the show’s second season with a surprise, because he makes his first getaway not in the Pontiac, but in a VW bug that has been customized into a pizza delivery vehicle and happens to be making an early morning stop at the beach restaurant across the parking lot. 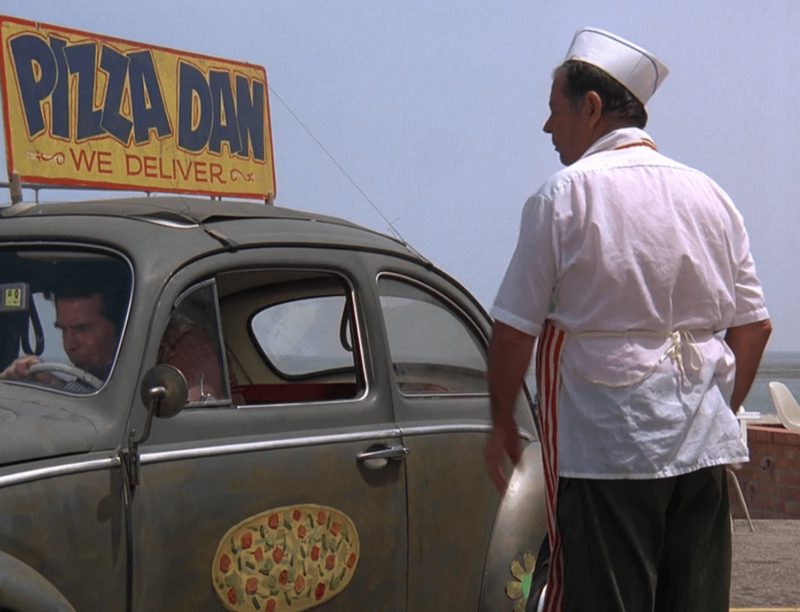 Jim commandeers Pizza Dan’s delivery vehicle. 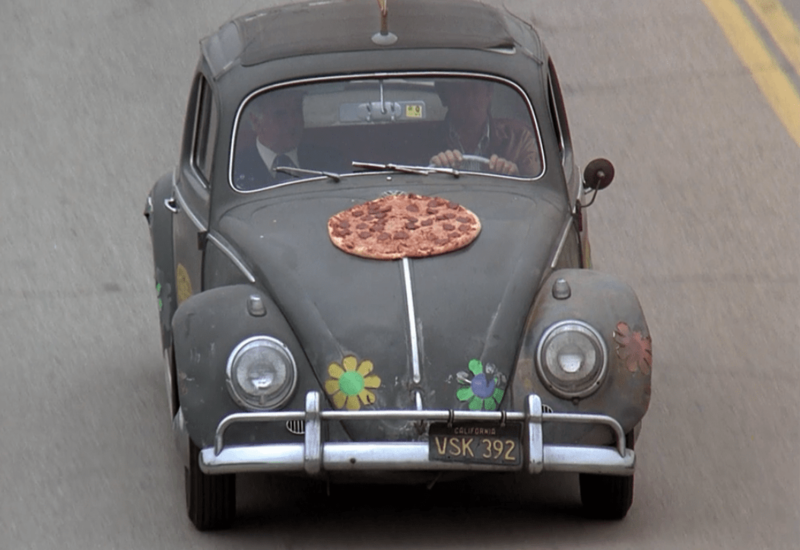 After making a getaway on the sands of Malibu’s beach, Jim, still in the bug and having found a spare pepperoni pizza to munch on, collects Rocky and they head off to the airport to meet their family friend from way back by the name of Aaron Ironwood (played by James Hampton hot off his role as the doomed Caretaker in “The Longest Yard”), who has done well for himself and is arriving in his own private jet. 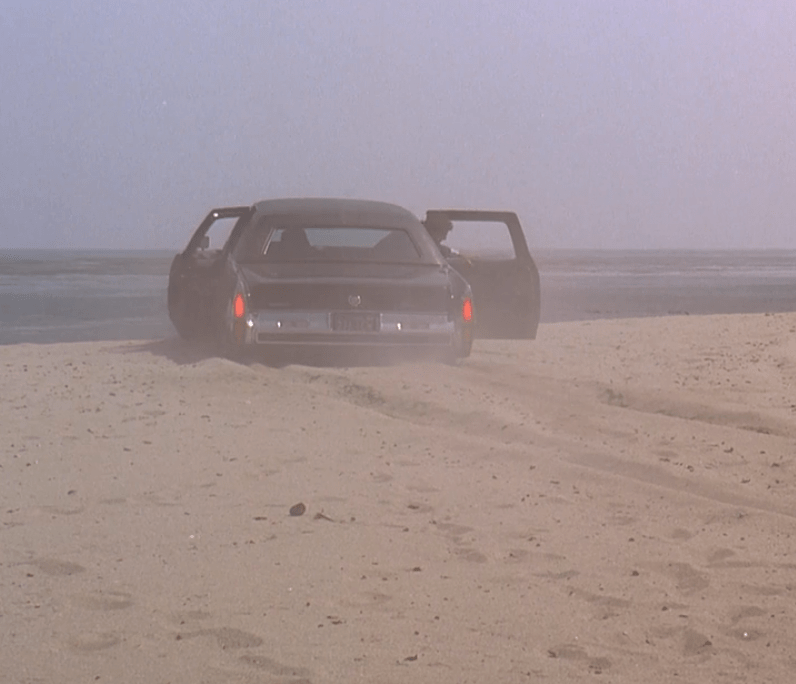 Jim flees his pursuers in the beach parking lot. The mobster limo gets stuck in the sand. 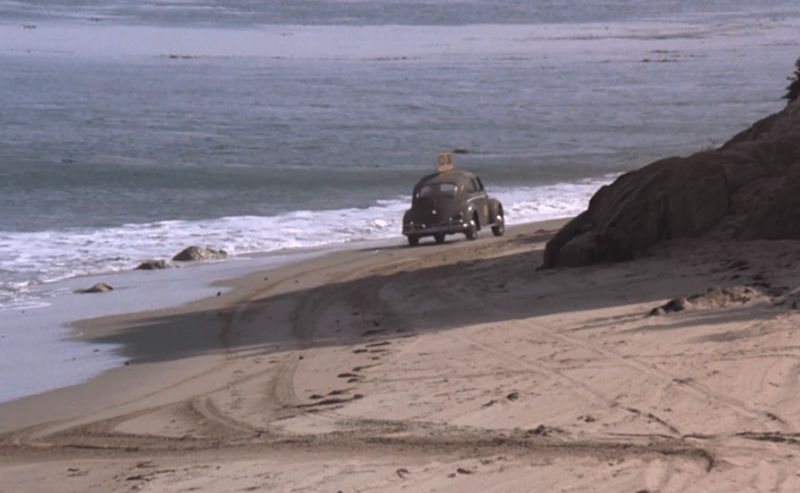 As Jim gets away along Malibu’s beach. It soon becomes clear that Aaron Ironwood is the kind of old family friend that gives Angel Martin a run for his money, and Rockford quickly finds himself on the wrong side of some very powerful bad men. The gist of the “Dare To Win” program, as Ironwood lays out to a rapt audience, is this: “I’m gonna teach you how to make a million dollars…by the end of the year. And what’s it gonna cost?? Only five thousand dollars.” The audience gasps their collective approval at this last sentence. Over a couple of cold ones, Aaron makes a confession of his own to Jim: Not all is well in the preaching empire. There’s been drinking, there’s been whoring, there’s even been puking, and now somehow the mob’s gotten involved. He needs Jimmy’s help, and he’s got an offer Rockford can’t refuse. In fact, the paperwork’s already drawn up. 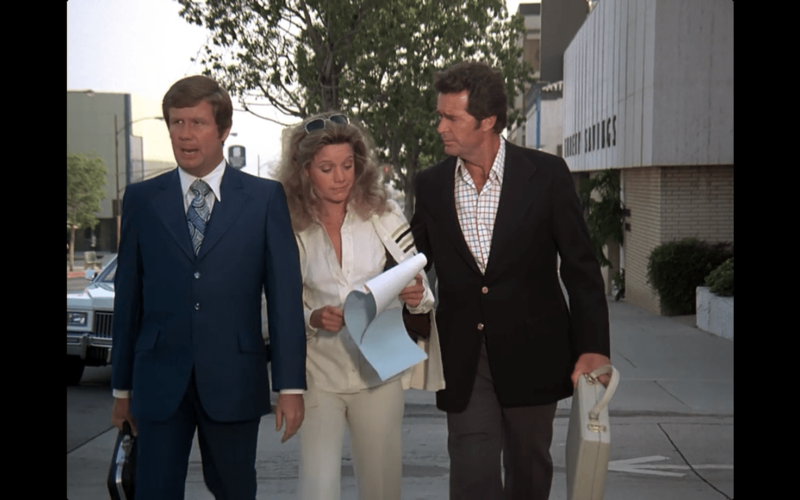 Beth Davenport looks over the contract and gives it her approval, whereupon Rockford promptly signs on the dotted line. The rest of the episode plays out with a series of double-crosses and some mob justice scenarios that belong in The Sopranos. And in the episode’s other good news, Dennis Becker passed the written part of his lieutenant’s exam and is now fifth in line for promotion. Beth gives the contract her approval. I can’t testify to the status of prosperity preaching in 1975, when this episode aired. Certainly televangelists existed, but I don’t know if they were quite on the cultural radar the way they were a decade later, when the other Jim (Bakker), Tammy Faye, Swaggart, and Oral provided the Decade of Greed (ie the 1980s) with its religious dimension. 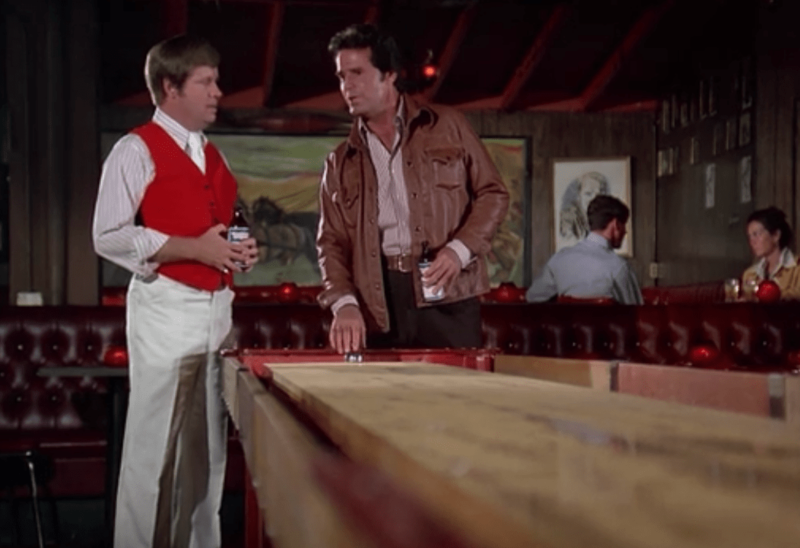 One guesses that the 1970s were gravy years for the Aaron Ironwoods of the world, when they could roll their earnings over into personal jets and call girls safely beyond the long arm of the law and the sharp eye of the media. Gary, thanks for the show information and for the kind words. I’ll try to do a small edit to clarify the different types of preaching. Also, I had no idea the Most Interesting Man in the World was on this episode. Great find! 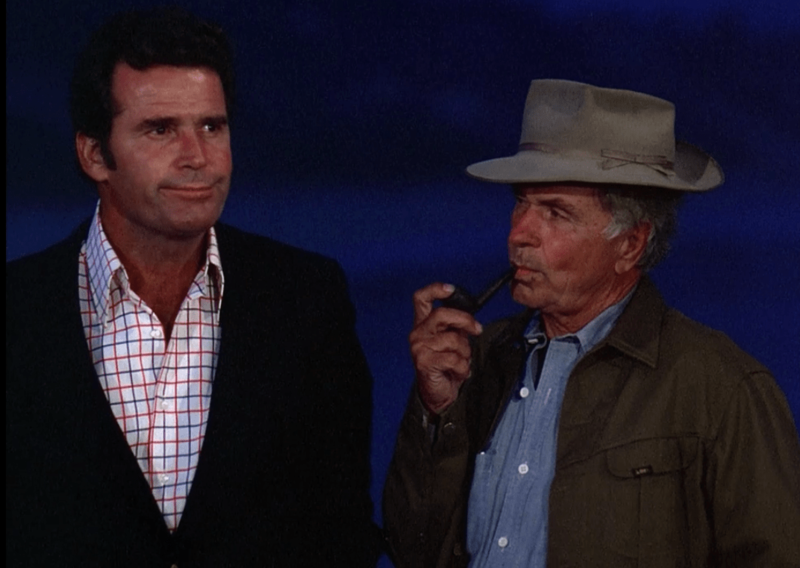 I hope you enjoy the other Rockford Files reviews, and thanks for reading and commenting.